"Duck Hunting Personal Checks" product is already in your cart. For the avid hunter these Duck Hunting Personal Checks will be ideal. 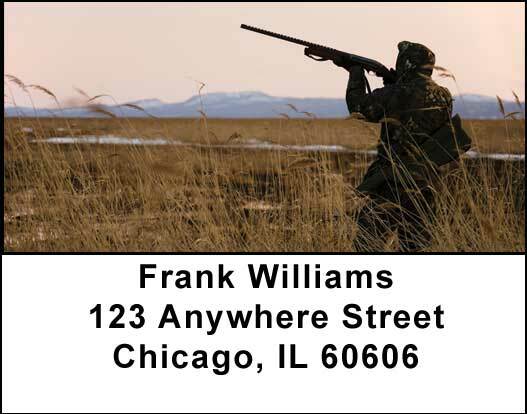 Four images capture the spirit of this sport that is loved by many and includes pictures of a handsome decoy next to some gun shells, a lonely duck floating on the water, the shotgun and shells and a the hunter posed in a marshy field. All depict the sport associated with fall and resemble a still life of Americana. You will notice that the decoy very much resembles the real bird sitting in the water so its a good bet that this hunter knows what he is doing. These Duck Hunting Personal Checks will certainly show who is boss!